A big parking lot used to be here. I remember parking in it the first time I went with my family to the Seattle Center. I hardly knew my way around town and was happy to find a place to park. It’s only been four years since then, but a lot has changed. The new offices of the Bill and Melinda Gates Foundation are being built. It’s a low-profile building for a high-profile institution. I am more familiar with the city too. It’s fun to discover it, one sketch at a time. 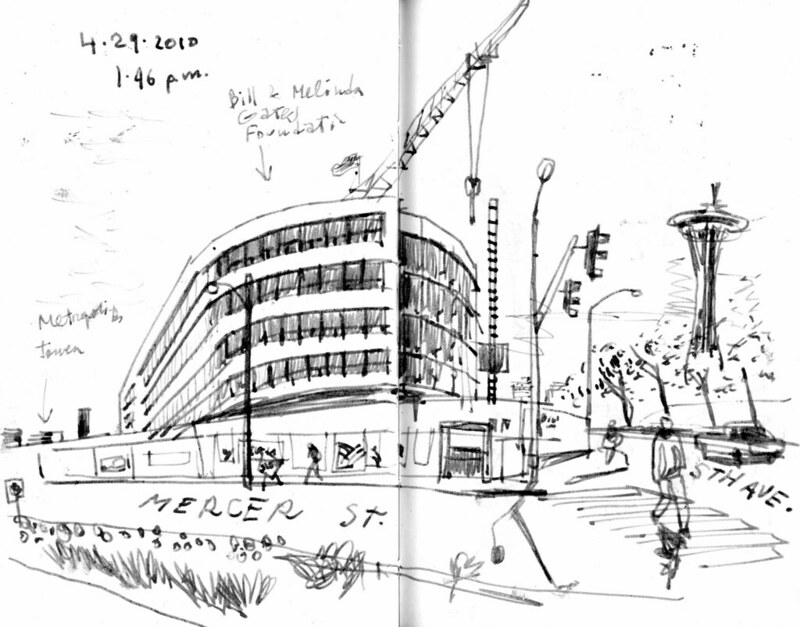 Seattle Sketcher won 1st first place in the blog category in the Best of The West journalism contest. I’m pretty stoked about the award. Thanks for following my work and keeping me sketching!